Doors Open at 6 p.m., Concert begins at 7 p.m. 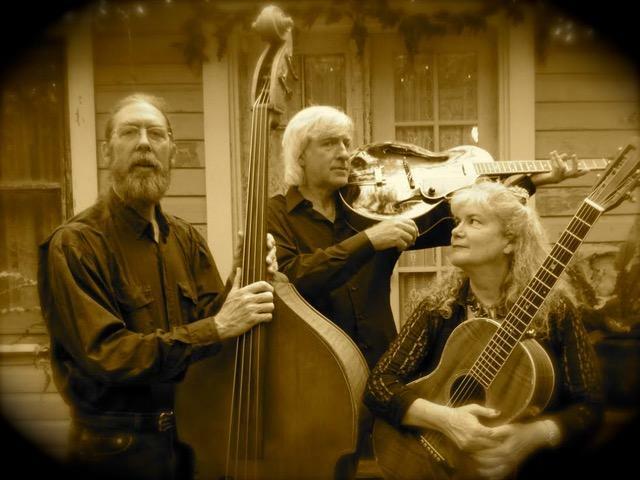 The Starlight Trio – Elisabeth and Lon Williamson, musical and life partners for over 35 years, are well known around the Sunshine State for their artistry as a duo, blending eloquent harmonies with accomplished musicianship. 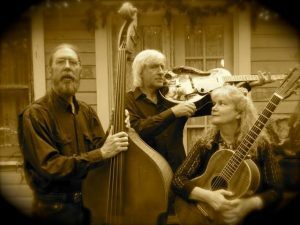 Add to that their dynamic repertoire of original, oldtime, jazz, swing, and bluegrass tunes and you’ll have a show that you’re not likely to soon forget. Throw in the guitar stylings of Rick Kuncicky and they’re on fire. The Starlight Trio has been lighting up the sky lately with a few musical fireworks of their own. OPENING, Tommy Cooper, Apalachicola Local Favorite singer-songwriter. Tommy has just finished recording his first EP through Cat Family Records in Tallahassee. Tommy is a talented singer-songwriter, penning originals that will make you laugh, cry and sing along. BYOB; $10/15 Donation at the door; Your hosts invite you to come early, and to bring something to share.